It's no secret we have a thing for DIY collars, so when we saw Rodarte's collar-filled fall '12 show, we were nearly shaking with excitement. We picked our favorite version that's covered in white, lace rosettes and set our sights on cutting apart an old button-up we haven't touched in ages. Ahead, follow our easy directions for making a Rodarte-inspired collar that'll dress up a tee and dress down a gown — try having your statement necklaces do that! 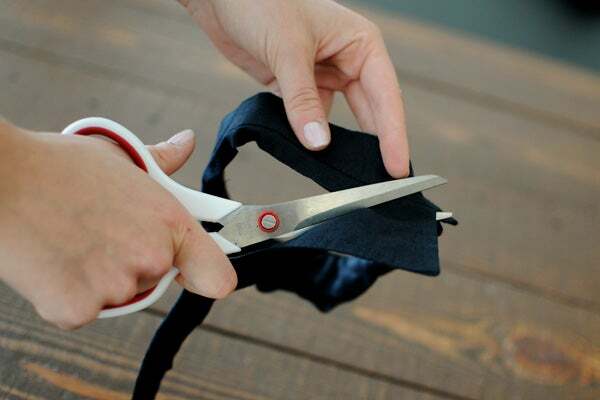 Step 1: Carefully remove the collar from your black shirt (it's best to use an old or thrifted item for this!). 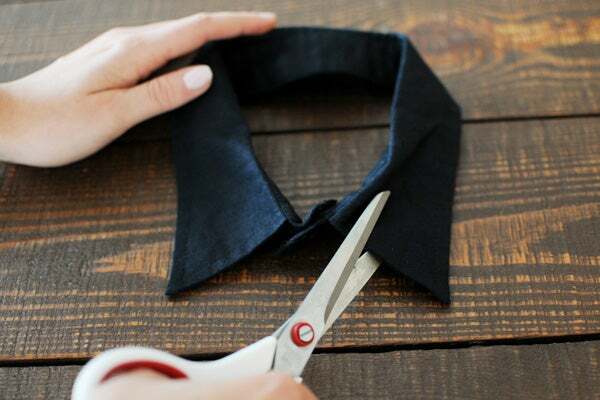 Step 2: Once the collar is separated from the shirt, begin trimming the collar so that only about 1/4 inch of it remains. Step 3: Plan out which piece of the lace you'll use by placing the lace over the collar. The triangles should begin on either side of the collar's button and run in a continuous loop all the way around. If the lace doesn't fit around the collar perfectly, just cut out the excess. 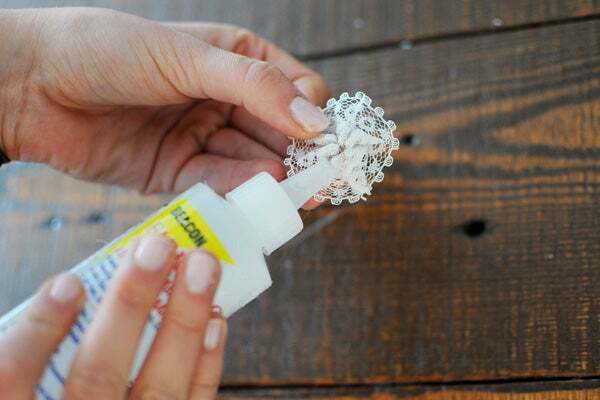 You'll be able to piece it together again with glue in the following steps. Step 4: Place small dots of glue on the fold of the collar. Step 5: Apply the lace. Step 6: Continue gluing the lace around the collar so that the entire surface is covered in lace. Make sure the two triangles are still on either side of the button. Step 7: Place a dot of glue on the back of the small, white doilies. Begin placing them randomly around the collar. Step 8: Continue until the collar is covered with lace rosettes. And, voila! 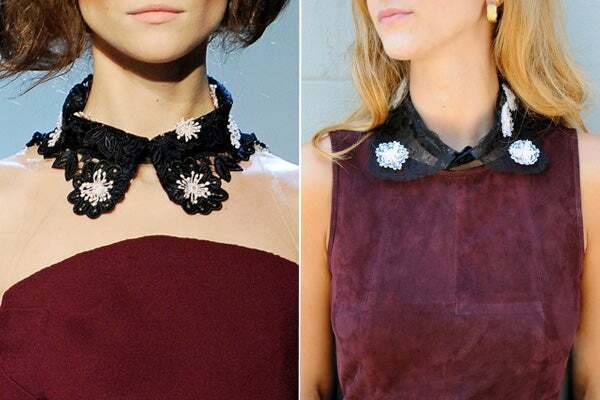 You've got yourself your very own lace collar.